Hydraulic systems can be found in on- and off-road vehicles, aircraft, heavy equipment and many other machines and devices. Being able to accurately predict the lifespan of hoses and other wear items in a hydraulic system is of critical importance, both for determining appropriate service intervals and for reducing your liability. Repeated pressure testing is the best way to determine how hydraulic systems will stand up to stress. By testing hoses and other flex components at pressures beyond their typical working loads, we can gain a clearer picture of their maintenance requirements while identifying any potential flaws that need correcting before your product reaches the market. NTS performs pressure impulse testing on various types of servo-hydraulic equipment. This testing process consists of flowing pressurized hydraulic fluid through the test sample while providing a specified vibration load. Typically performed on aircraft components, such as landing gear actuators, this highly specialized form of testing is offered by very few commercial test laboratories in North America. Pressure impulse testing is among the many strengths of the dynamics testing capabilities of NTS. Ideally situated to meet the needs of automotive manufacturers and subcontractors, NTS’s Detroit location is our main lab performing pressure testing and inspection of vehicle components. 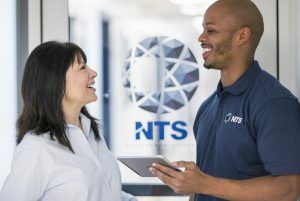 NTS Detroit is one of the best-equipped testing labs in the country, offering a wide range of analytic and simulation services on a 65,000-square-foot campus. Our in-house engineers can perform pressure inspections and other services to the exacting standards required by today’s manufacturers. Our testing setup consists of linear and rotary servo-hydraulic actuators that can be configured to perform accurate pressure testing services, in addition to measuring flow, force, torque and strain. We are fully equipped to provide pressure testing up to 8000 psi at 30,000 Hz, or static testing up to 30,000 psi. For more complex testing projects, such as those often required by customers in the aerospace and defense industries, our team can custom-build equipment and test fixtures as necessary. NTS Detroit is accredited by the Association for Laboratory Accreditation (A2LA) to ISO 17025 standards. We offer complete turnkey solutions for all of your pressure testing needs, and we can also perform related mechanical and fluid dynamics analyses, including leak detection, torque cycling, dynamometer testing and more. Contact our office directly for more information about our complete list of services. NTS is one of the largest and most respected testing companies in North America. 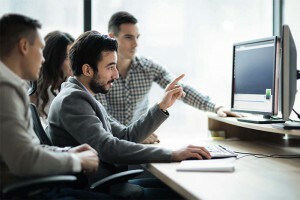 With a network of labs across the country, we specialize in helping our clients collect the data they need to develop better, safer and more efficient products. As a partner to the defense, aerospace and automotive industries, our services are an essential part of maintaining compliance with all relevant regulatory standards. In addition to pressure testing, we can provide hydraulic cleaning and repair, environmental simulation and a wide range of other services. Contact us to learn more about what we can do for you.